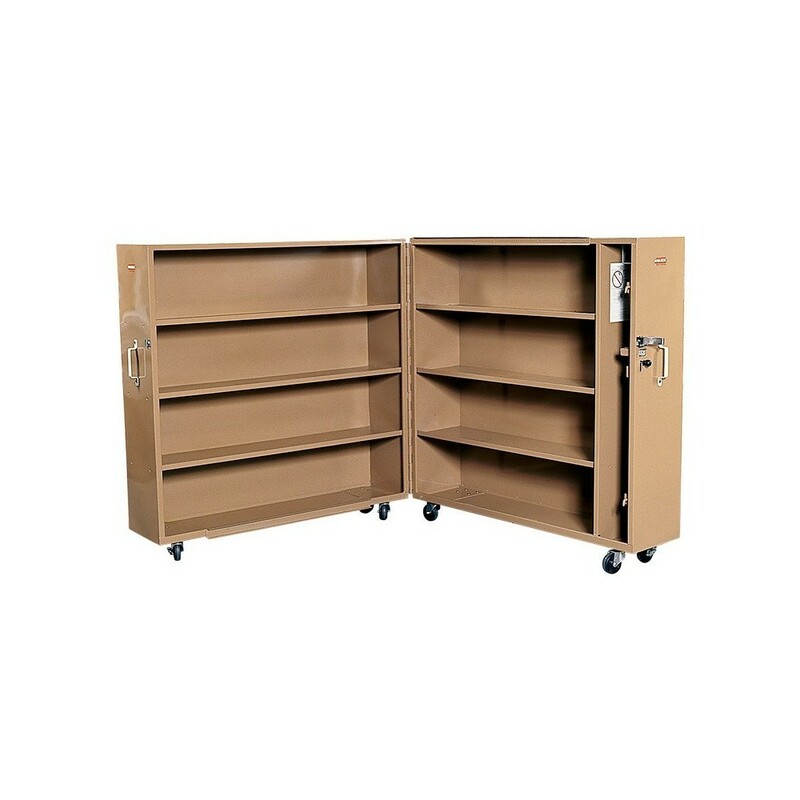 Included casters allow one person to manoeuvre the closed cabinet through a jobsite. 1,52 mm fully arc-welded steel construction. Load capacity: 544 kg evenly distributed.